The Original AWD Sports Car!! -The car is clean as a whistle! -Engine fires right up, runs quiet and pulls very hard! -The gearbox is slick and shifts smooth through every gear! 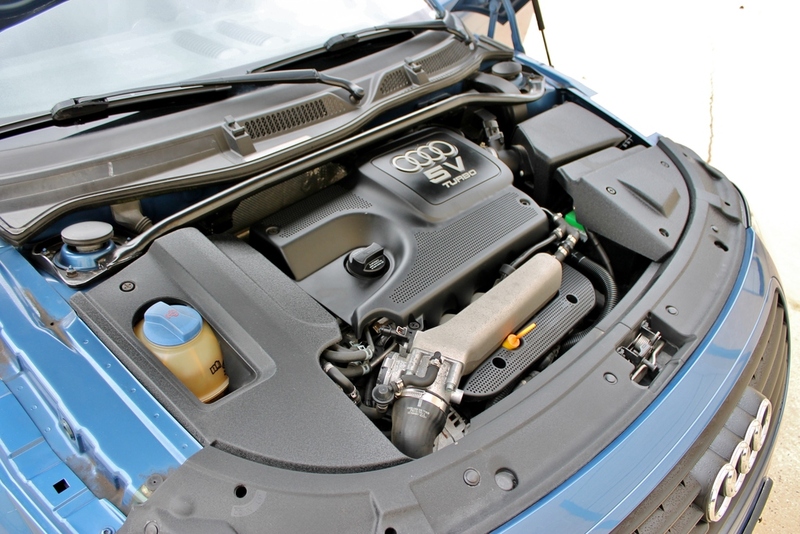 -The steering is extremely precise, as only Audi can provide! -The brakes are strong, and quiet. -The factory Audio system is premium, and sounds amazing! -Upholstery is in great shape! 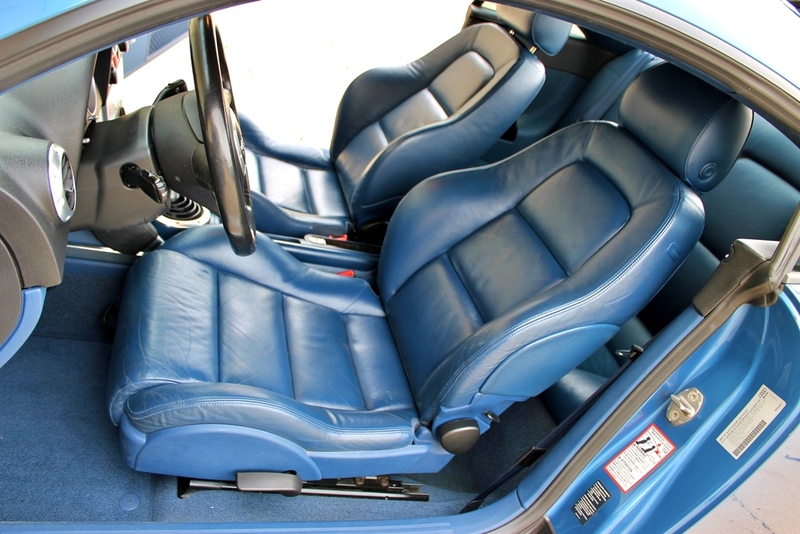 -The deep blue leather interior has no fading, no tears and is iconic. -The tires have excellent tread left, and are all season radials! I came upon this TT and was interested for a few reasons. First off, Denim Blue Pearl Effect always looks great and this one is no exception, matched well by Denim Blue Valcona leather inside. The 180 version doesn’t look quite as gruff as the 225 – a single exhaust exit tells the world you saved a few thousand on MSRP at the expense of about a second and half 0-60 time and some street cred. While this 180 also wears 17″ wheels, they again don’t look quite as purposeful as the forged “Fat Fives” found on many 225 models. You also lost a gear with the 180 – it was a 5-speed manual instead of the 225’s 6. Still, it’s an elegant design that I think has aged well and this one looks very nice overall. 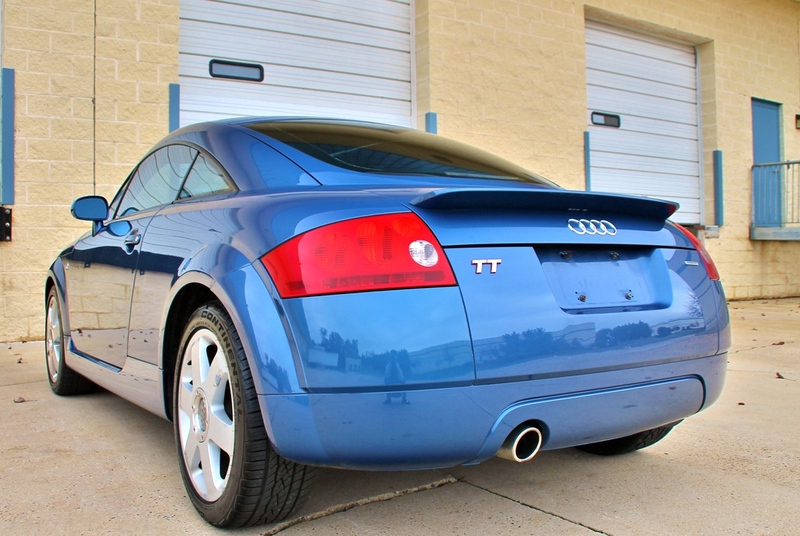 I was thinking about EAG’s ultimate garage, and I think a first generation TT would have to be on that list. 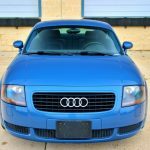 It’s not so much that it was a performance milestone for the company or, as this seller suggests, the “The Original AWD Sports Car! !” (I can’t even be bothered to touch that one). But it was a breakthrough design and I’m certain these will be sought in the future. Now, is this the one to get? Well, mileage is low, condition appears good and the auction is no reserve. Truthfully, if you’re looking for a collector, the 225 model is probably the one to find. The 3.2 was DSG only in the first generation, so while it was top of the heap I think the 6-speed manual 225 will be more highly sought. There’s also some concern with a few things on this car – the mats seem to have blue dye on them, an indication that maybe there was a respray on the seats to cover up damage, and the car also has a flag on the vehicle history. Still, the no reserve auction on a lower mile and shining example in a good color is a draw, and so far bids have hit nearly $4,000. You can find a lesser 225 example for that amount, but it’ll have needs. This one looks like it could be a good pick up if the question marks are answered by a PPI. It’ll give you a unique commuter with a dose of fun and a lot of style on the cheap. 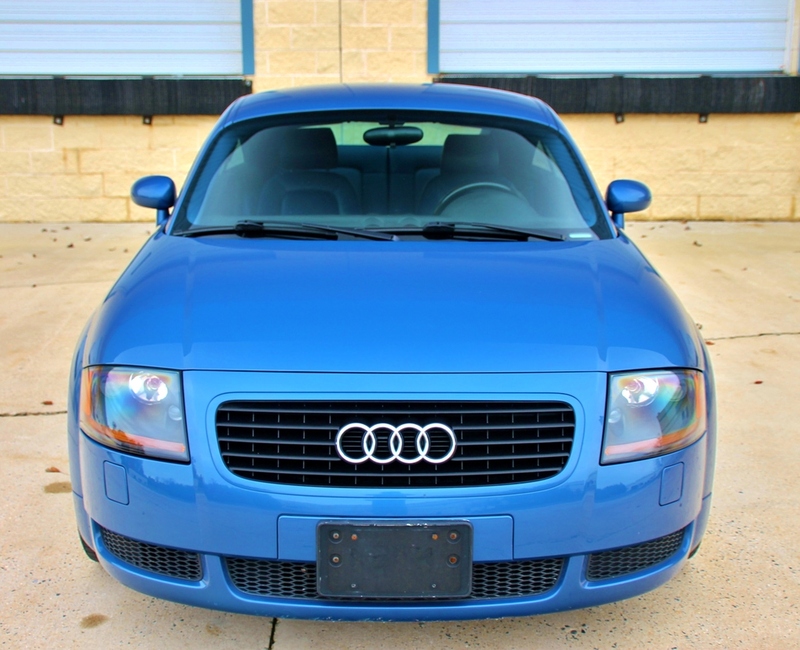 Tagged 180, 2002, 8N, Audi, Coupe, Denim Blue Pearl Effect, Quattro, TT. â€œthe mats seem to have blue dye on them,.â€ Maybe Iâ€™m wrong but the mats are in the rear hatch and are filthy. I think what you noticed was nice clean un-faded original carpet in the front footwells. @John – I was specifically looking at the mats in the hatch, which are filthy and seem to have a blue tinge. It’s possible that they’re just using a very heavy blue filter but I have a set of those mats and they definitely don’t look like that. The mats in the cargo hatch are definitely factory blue rubber mats that are dirty. 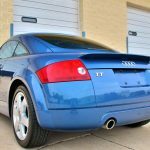 I have a question are these 1st series TTâ€™s reliable and a quality car? I love the interior color and design. Quite beautiful. Are they reliable? 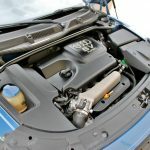 No worse than a Golf, for sure, which means you’ll have some electric gremlins and the 1.8T has some known faults, but all told they’re pretty stout from everything I’ve seen. There are also a lot of them out there so sourcing parts isn’t the worst thing. Are they quality? If you’re used to modern Audi/BMW-levels of comfort, these won’t feel too nice. 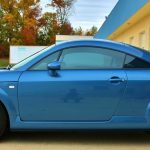 They’ve got the same soft-touch plastic issues that all VWs from this period have, and won’t have nearly as solid a feel as a more expensive car. I’d expect some rattles and you’ll probably chase water leaks. That said, it’s still a very affordable and fun all-weather sport coupe that’ll return 30 mpg and looks nice, so pick your poison I guess!